As candidates posture themselves in the electoral battleground, the opposition parties have taken up another fight, one against the Electronic Voting Machines (EVMs). Following the controversy over EVM glitches, a united Opposition led by Andhra Pradesh CM Chandrababu Naidu in a press conference on Sunday said it had become necessary to count at least 50 per cent of the Voter-verified paper audit trail (VVPAT). The party leaders including Aam Aadmi Party chief Arvind Kejriwal, Congress leaders Kapil Sibal and Abhishek Singhvi also said that they would raise the issue with the Supreme Court. A pressing issue: The press conference comes amid raging controversy over voter deletions and EVM malfunctioning. Meanwhile, Congress spokesperson Abhishek Sanghvi at the Sunday presser hit out at the Election Commission for not paying adequate attention. “If you press the button before X Party, vote goes to Y party. VVPAT displays only for 3 seconds, instead of 7 seconds,” he said. Voting woes: Sanghvi was referring to the recent row that was sparked over claims of EVM malfunctioning in a polling booth in Uttar Pradesh’s Bijnor constituency. According to the claims, the EVM button when pressed for the Bahujan Samaj Party would result in votes for the BJP. The EC, however, rubbished the claims a day after BSP supremo Mayawati urged the poll panel “to find a solution to people’s satisfaction”. A complaint was also lodged against a BSP agent at the polling booth for allegedly spreading “fake news”. The poll body has also come under fire over cases of rampant voter deletions, which were reported during the first phase particularly in the states of Telangana and Andhra Pradesh. The fate of the cash-strapped Jet Airways will be decided today in a crucial meeting with SBI over the disbursement of funds for its day-to-day functions. The airlines was hit by a fresh bout of crisis on Sunday after its pilots body - the Guild, which has around 1,100 pilots as its members, decided to stop flying from April 15 in protest against non-payment of salaries since March. The body, however, deferred the “no-flying” call to a later date in light of today’s meeting. The pilots, along with engineers and senior management, have not received salaries since January. The debt-ridden carrier has also not paid the March salary to employees of other categories as well. The employees are set to stage a protest at Mumbai’s Siroya Centre today. Pakistan has said it was hoping for "re-engagement" with India after the Lok Sabha election, noting that structured dialogue would enable the two countries to understand mutual concerns, resolve outstanding disputes and build the edifice of durable peace and security in the region. "We hope for re-engagement after the elections in India. Diplomacy and dialogue are indispensable," Pakistan's outgoing High Commissioner Sohail Mahmood said in an interview with news agency PTI. Mahmood also stressed for a need to review the narrative about Pakistan in India. “A narrative is needed that captures the reality in Pakistan objectively and more fully. A narrative that also helps recognise opportunities for peaceful, cooperative and good neighbourly relations,” he said. Tejashwi Yadav, son of Rashtriya Janata Dal's senior leader Lalu Prasad Yadav, has expressed confidence that his party will sweep the Lok Sabha elections in Bihar. 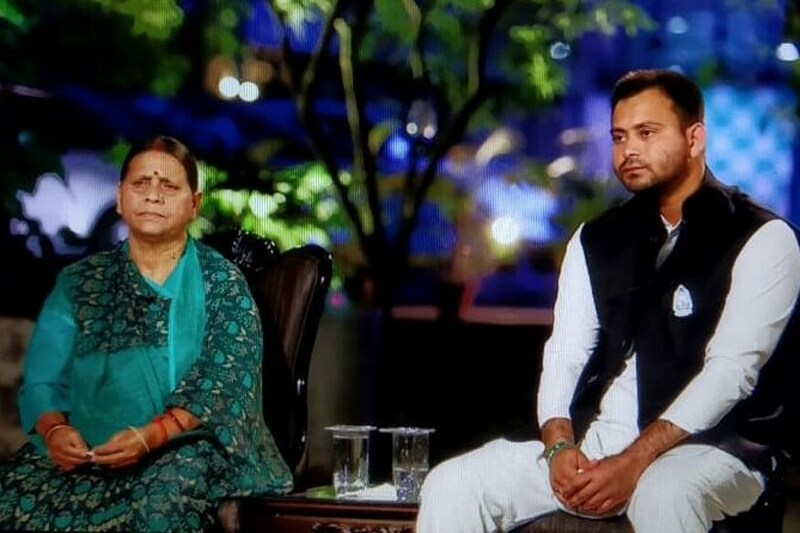 In an interview with News18 Network Group Editor-in-Chief Rahul Joshi, Tejashwi Yadav and his mother, Rabri Devi, claim that Bihar Chief Minister and JD(U) chief Nitish Kumar has no credibility left and that the people of the state will give him a befitting response through their votes. Read excerpts from the interview here. PM Narendra Modi in a rally in Uttar Pradesh’s Moradabad district once again hit out at Pakistan over the Pulwama attacks. “When they made their second mistake in Pulwama, we entered their home and conducted airstrike. They also know that if they commit another mistake, they will be in real trouble)," he said. In his rally address, the Prime Minister also assailed BSP supremo Mayawati for seeking votes for a candidate who had called BR Ambedkar a 'land mafia', and also attacked the opposition alliance, saying the 'mahamilavat' will face a "mahagiravat" — a grand fall. Amid the uncertainty over an alliance with the Congress in the Lok Sabha polls, Delhi chief minister Arvind Kejriwal on Sunday said his party will do anything to "save the country" from Narendra Modi and Amit Shah. "The country is in danger. We will do anything to save it. Our effort to save the country from Narendra Modi and Amit Shah will continue," the AAP supremo said during a press conference after a meeting of opposition parties over the VVPAT issue. Congress leaders and senior advocate Kapil Sibal, who were also present on the occasion, however, dodged questions on an alliance with the AAP and threw the ball in Kejriwal's court saying, "He knows better". Veteran SP leader Aazam Khan has stoked a controversy with an "underwear" jibe against film actor and BJP candidate Jaya Prada, fighting the Lok Sabha polls from Rampur against him. “You (the audience) took 17 years to see who she really is, I knew in 17 days that her underwear is Khaki in colour,” Khan had said in a rally referring to the actor’s defection to the saffron party. National Commission for Women Chairperson Rekha Sharma hit out at the leader over his remarks terming it as "extremely disgraceful". Sharma also said the women panel will be sending a show cause notice to him. 100 years ago, the Jallianwala Bagh massacre shook the conscience of a nation. But what were the circumstances that led to this tragedy? News18 travels to Amritsar to retell the story of the killings that marked the beginning of the end of the British Empire.